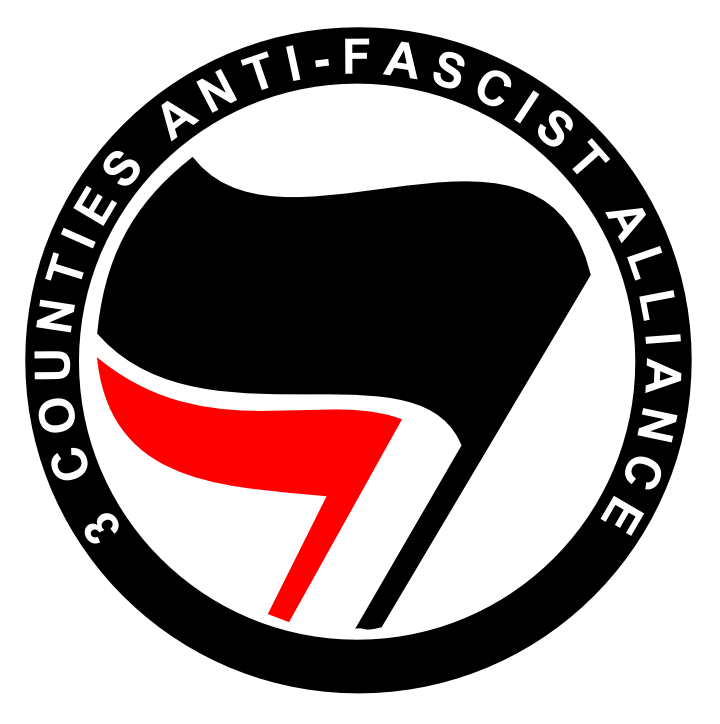 3 Counties Anti-Fascist Alliance is a network of anti-fascists based in Gloucestershire, Herefordshire and Worcestershire. We exist to confront fascist activity and organisation wherever it may occur within our region. We utilise a wide range of tactics and believe it is important to confront fascism physically as well as ideologically. From information gathering and leafleting through to pickets and direct action, we will use whatever tactics are best suited to oppose fascism at any given time. Unlike other ‘anti-fascist’ groups we are non-hierarchical and believe in grassroots organisation. We will not work with any state-affiliated groups. We are not associated with Searchlight/Hope not Hate or Unite Against Fascism in any way. You can view our founding statement here, which looks at our aims and principles in greater detail.